The fact is what you do not know will hurt you. If you are having financial problems, get in to see a skilled Phoenix bankruptcy attorney as early as possible. If the right measures are not taken soon enough, bankruptcy options that might preserve your property and money may be lost for good. It is not uncommon for people struggling with debt to rob Peter to pay Paul. Generally what this looks like is you start making balance transfers or cash advances on one credit card to pay off balances owed on the others. Unfortunately, this isn’t just a sure sign of desperation, but the amounts that you obtain as cash advances might not be dischargeable in a future bankruptcy. If you are in this position, you are probably making your situation worse instead of better. You should stop immediately and seek the advice of a Phoenix bankruptcy attorney. In Arizona, transferring assets to relatives or friends for less than face value is usually considered fraudulent without adequate consideration is usually considered fraudulent by the Bankruptcy Court. Once the transfer is discovered by the bankruptcy trustee, the transfer is reversed. Even worse, under normal circumstances, you lose your ability to protect the asset with an exemption. This leaves the trustee in a perfect position to sell off your asset and give you nothing. It doesn’t end there though. If you failed to disclose the transfer of a significant asset to a friend or family member, the transfer could result in you being denied a discharge. If you have transferred something, disclose it to your bankruptcy attorney so that action can be taken to protect you. Most retirement accounts are protected in bankruptcy. It is unfortunate then that most debts that people pay off when they start emptying their retirement accounts would have been eliminated in bankruptcy anyway. Making matters even worse, taking money out of retirement accounts results in tax penalties. You are literally incurring penalties that will not be eliminated in bankruptcy to pay off debts that can be eliminated in bankruptcy. That makes no sense at all. 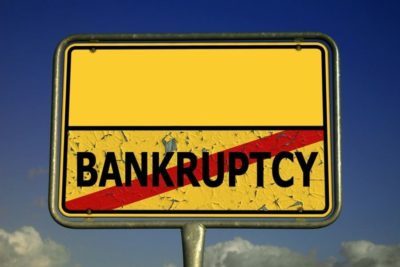 If you have any questions about the issues raised in this post, make an appointment to meet with a Phoenix Bankruptcy Attorney. We are always happy to help.